Is Your Brand Benefitting from Using Biodegradable Promotional Bags? The promotional products you use to market your business, brand or organization say a lot about your company and the products or services you provide. These items will speak for your company, so make sure they say the right things and set the right tone for your business. The words and slogans you choose to print on your bags clearly make a statement, but the material the reusable bags are constructed from also tell a story. Stay true to your environmental goals and beliefs by creating promotional reusable bags made from biodegradable materials. What Does Biodegradable Really Mean Anyway? Biodegradable materials are organic plant or animal matter that safely breaks down through the work of micro-organisms which are typically bacteria. As the material breaks down, the micro-organisms essentially take the material apart by breaking it into smaller and smaller components that are eco-friendly and safe on the environment. Other materials, like plastic, do not break down and if not recycled into new products, they sit in landfills or become litter and pose a health risk to animals and their habitats. A major benefit of biodegradable promotional gear is that the product will safely break down and pose no harm to the environment. Biodegradable promotional materials immediately alert your customers to your efforts to protect and preserve the environment. People will either see the bag and appreciate your decision to market your brand with a biodegradable material, or they will simply see a well-made, handy reusable bag. Although not everyone will value your commitment to the environment, at the very least they will appreciate the usefulness of the reusable bag. Biodegradable reusable bags allow you to spread the word about your brand, without harming the environment – a win-win for your brand and the planet. Marketing with biodegradable materials can allow people to form a relationship with your company over your shared environmental concerns. Eventually after several years of dependable use your promotional reusable bag will wear out. Going with a biodegradable reusable bag to promote your brand allows you to rest easy knowing that when the time comes for your customers to dispose of the bag, they can do so without harming the environment and there will be no ill environmental impact. From bioplastic and jute to bamboo and cotton, there are a wide array of options that allow you to promote your brand in an environmentally responsible manner. Customizing a biodegradable bag will let you make something unique that truly represents your brand without compromising your environmental standards. 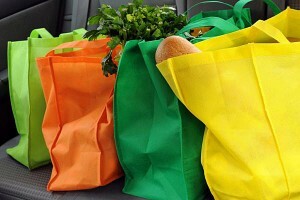 To learn more about how we can help you create your biodegradable reusable bags go to https://www.factorydirectpromos.com/biodegradable-bags.